It's always nice to have your hard work and dedication recognized by someone on the outside. 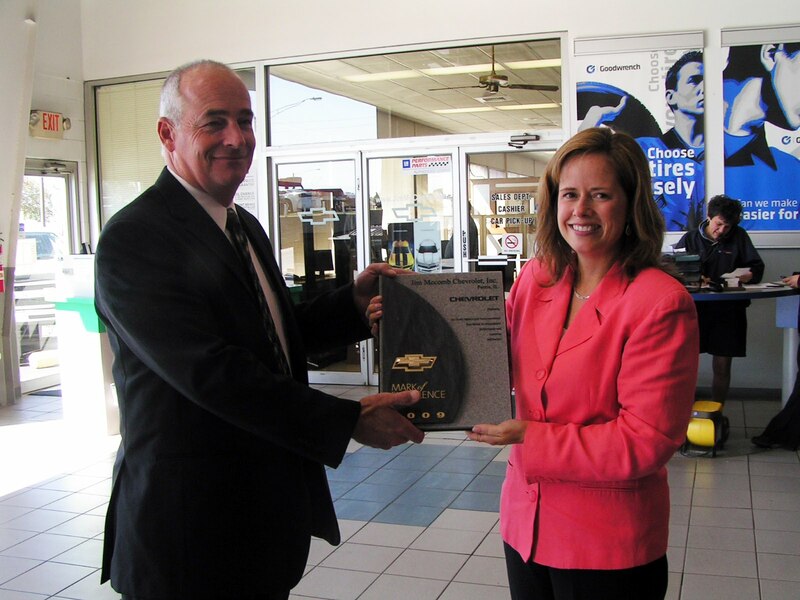 Jim McComb Chevrolet was just recently recognized for their accomplishments by none other than General Motors. The Mark of Excellence is an award given by General Motors to dealerships that achieve a superior sales volume and exceptional dedication to customer service and satisfaction. "It's really about the customer service. This award is due to the hard work of everyone here, from service and sales to the receptionists and those in the shop," said Mark Weston, President of Jim McComb. Weston received the award on behalf of the dealership and he was thrilled with the team effort put forth to attain the Mark of Excellence. General Manager Kevin Lundqust said the award is something the whole dealership is proud to have achieved. It may be good news for the dealership, but it's great news for current and future customers of Jim McComb Chevrolet. General Manager Jeff Loucks said, "This is a dealership that you can walk into with confidence knowing you'll receive an exceptional level of customer service." No arguments there! The Mark of Excellence is actually the name of the GM logo and the words could be found written underneath the logo for many years. Stop by Jim McComb today for a Mark of Excellence Experience! Don't forget to fan us on Facebook.